Hold onto your hats, we’re going to deal with a lot of equations today! Last time we used flashbacks to previous blogs in this series to revisit key equations in our ongoing discussion of gear trains and torque. We also introduced The Law of Conservation of Energy in conjunction with five equations that together demonstrate how when increasing torque by use of a simple gear train, we do so at the cost of speed. where, R is the gear ratio, N the number of gear teeth, n the gear’s rotational speed, T the torque, D the gear pitch radius, and HP is the horsepower transmitted by the gears. As we work the equations, keep in mind that our ultimate objective is to find a way to link together (1) and (2), the equations dealing with gear torque and speed. Once we accomplish this we’ll see how increased torque is obtained at the cost of speed. But because there are no common terms between equations (1) and (2), our first step is to develop one. Developing a link between equations (1) and (2) is a process that begins with combining equations (2), (3), and (4). Next week we’ll use equation (7) to link together R, N, n, of equation (1) with D and T of equation (2) and in so doing disclose mathematically the tradeoff between torque and speed, then apply our findings to an example. 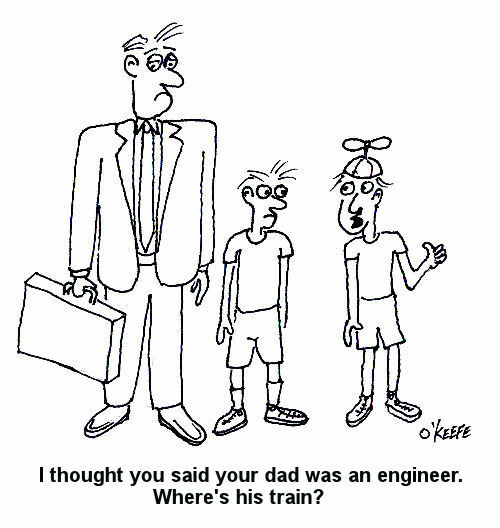 When I was a kid I had a friend who thought that everyone who said they were an engineer wore pinstriped bib overalls and drove trains. Funny thing is, I later became both a locomotive engineer and a degreed mechanical engineer, but that’s a story for another time. 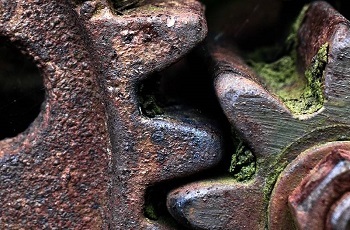 Speaking of engineers, what do you think of when you hear the words, “mechanical engineer?” If you’re like most, you probably think of someone who designs gears and machinery. But the field of mechanical engineering is far more complex than that. Statics: The study of how forces are transmitted to and through stationary objects. Dynamics: The study of the effects of velocity and acceleration, and resulting forces and energy, of moving objects. Kinematics of Machines: The study of how parts of machines behave as they move through their ranges of motion. Strength of Materials: The study of the properties of materials along with the geometry and sizing of structural components, structures, and machine parts to prevent failure. Materials Science: The study of how metal alloys and polymers are formed to have specific properties. Thermodynamics: The study of the properties of steam and other media used to absorb and transfer heat energy in power plants, engines, and refrigeration systems. Armed with this knowledge, mechanical engineers can take on design projects ranging from airplane propellers to utility power plants. During the coming weeks we will focus on each of these areas and explore them more fully. We may even have a little quiz at the end to test your newfound knowledge! Everyone knows us when they look at a clock, but mechanical engineers also know us to add up to zero when they look at a fixed structure. What are we? Get the answer in my next blog post.